Karen House : Feb. 11, 2019, 3:08 p.m.
Feb. 11, 2019 – A traffic accident, a heart attack, or a house fire could send anyone to the hospital on short notice. If the injury is serious enough, that trip could be in a helicopter. 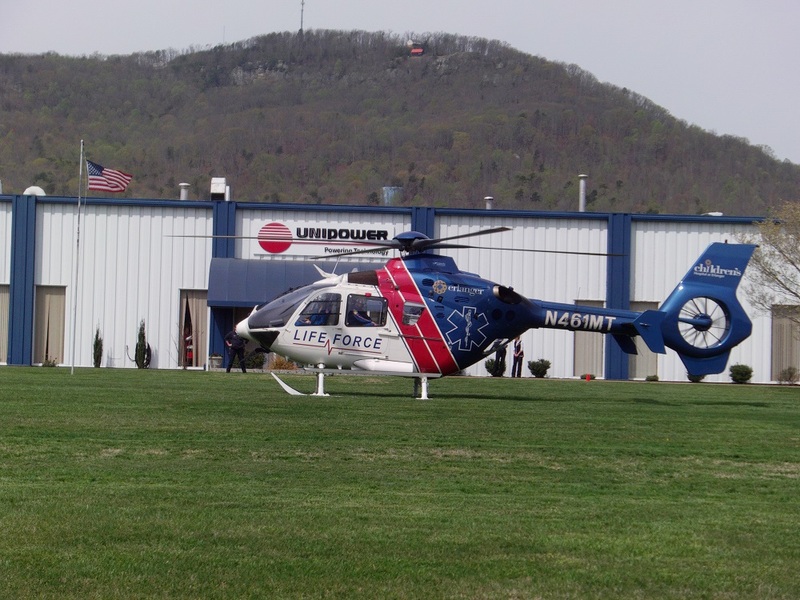 The Life Force helicopter is a true lifesaver for many, carrying seriously injured patients from the Sequatchie Valley to life-saving care at a hospital in Chattanooga. But a Life Force transport can cost thousands of dollars. AirMedCare is one way to bridge the gap, to provide for the cost that existing health insurance might not cover. AirMedCare is going to have a representative at the Dunlap Chamber of Commerce on Wednesday, Feb. 27, 11 a.m.-4 p.m. and on Thursday, Feb. 28, 4-8 p.m. CST, to answer questions and offer sign-up for the policy that covers Life Force when emergency transport to the hospital in Chattanooga is required. The cost of an AirMedCare membership is normally $85 a year, but purchased through the Chamber at this meeting it is just $65.